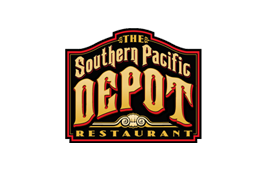 There's always something of interest happening at The Southern Pacific Depot, and at our other great restaurants, too. While you're here, join our E-News Community so that you never miss a thing! It's a celebration for the whole family! This Easter, enjoy a special brunch menu complete with chef's specialties as well as all your holiday favorites. Hop, skip or jump over! Enjoy a complimentary appetizer with your cocktail when you join us in the garden/bar for Social Hour Fridays!! Join Chef David Vartanian as he demonstrates the preparation of special lunch and dinner dishes at Recipe Club events each month.